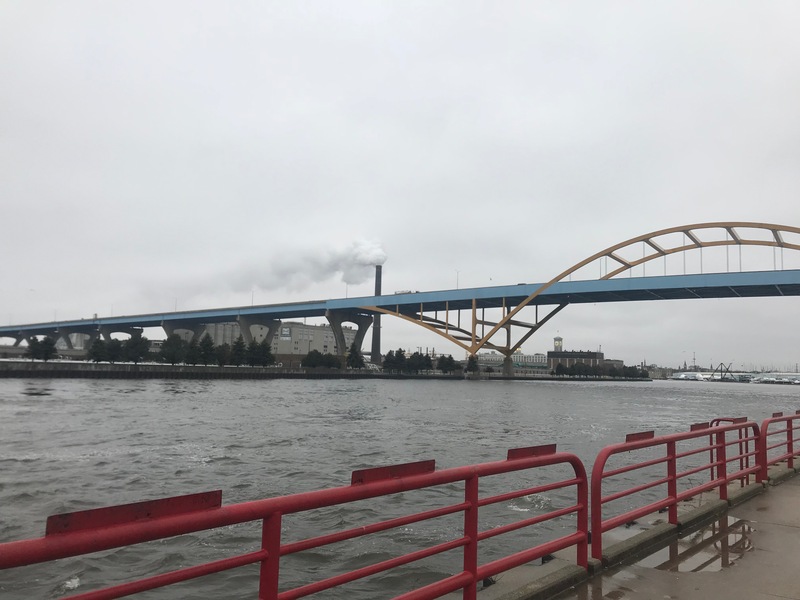 As poverty and lead poisoning continue to afflict Milwaukee’s central city communities of color, downtown boosters are setting out on a campaign to raise $1.5 million in the next year to cover the Hoan Bridge in lights. 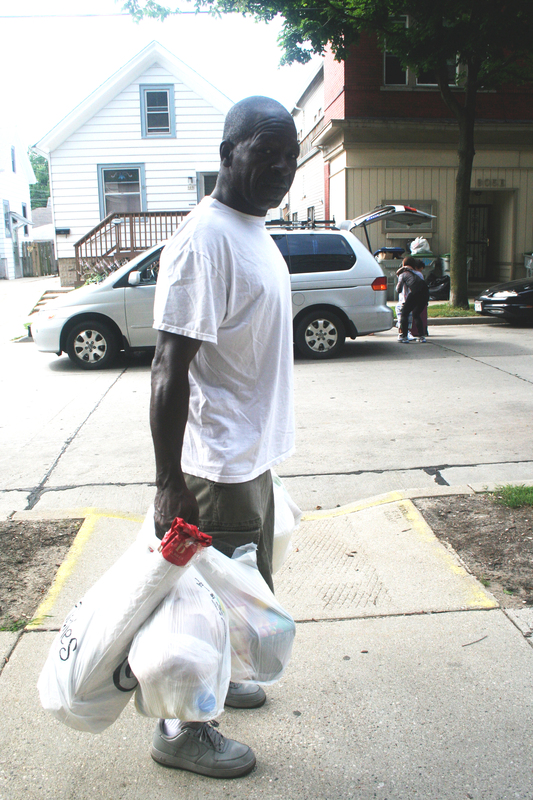 Jimmy Scott stands outside the Riverwest Food Pantry at St. Casimir Parish on Clarke Street as bikers, participants in the Riverwest 24, pass by. Scott, who grew up on the west and south sides of Chicago, was the victim of a shooting while living in the Windy City. “You grow up in the drug area, you know, there’s always shootings and stuff going on…I [was] just [in] the wrong place at the wrong time,” he said.